For this project I redesigned the training system of the game’s story mode. I also created, directed and implemented scenes in the game. For this project I worked on the design and implementation of some interactive dialogue scenes for the revamped Road to the Show mode. The School of Games is a Learning Platform that teaches kids from ages 4-7 different concepts like the alphabet, numbers, rhymes and phonics. For this project I designed 25 games that covered an entire 18 month curriculum. I also designed a game economy, progression and reward system. Rime is a 3rd person action adventure game that tells the story of a little boy that gets stranded on an island. A conversational adventure game examining the ways we value the relationships around us, both intimate and distant. Players explore and interact with the many people and relationships that exist and evolve within an apartment complex. For this project I created the main apartment complex in which all the interactions take place. Paralect is a 2D platformer that uses gameplay, visuals, and narrative to tell a personal story of cultural unrooting. It explores the paradigm shifts caused by culture shock and adaptation and investigates how those transformations affect one’s vision of people, their environment, the place you initially came from and, most importantly, the place you wish to call home. The game is divided into a sequence of experiences. At first glance, the main world is a typical platformer, presenting the player with environmental obstacles and puzzles. However, the narrative delivery system allows the player to spatially explore the monologue of NPCs and discover clues about how these characters and their worlds work. For this project I contributed to the design of the first level and I implemented dialogue for various parts of the game. Miralab is a 3D single player experimental game about life, loss, growth, and decay explored through the perspective of an immortal jellyfish as it morphs through its peculiar life-cycle. The player explores a rich memory filled eco-system peppered with environmental puzzles and secrets. 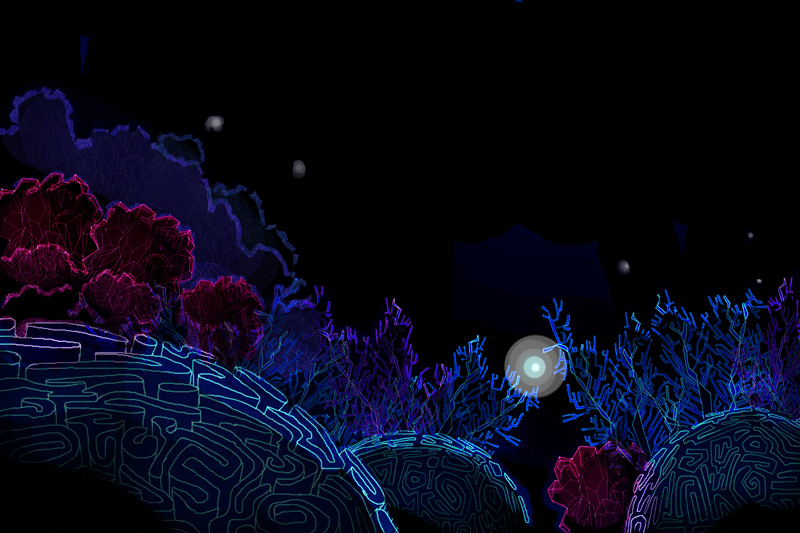 Its set within a retro-futuristic aquatic world full of stylized jellyfish and other-worldy coral. For this project I designed the main mechanics of the game and I designed one level for each stage of the jellyfish. My Friend and Me is a 3D puzzle adventure game about a the relationship between a boy and a creature and the road they have to walk through together to strengthen the relationship. In the process, they will both grow, mature and learn from each other while completing the rite of passage into adulthood. For this project I created all the narrative, designed game mechanics and designed all the levels of the game. El Poco Conocido is a 3D adventure game in which the main mechanic is the ability to switch perspective between characters, this allows for the player to see the world in different ways and learn information by exploring it. 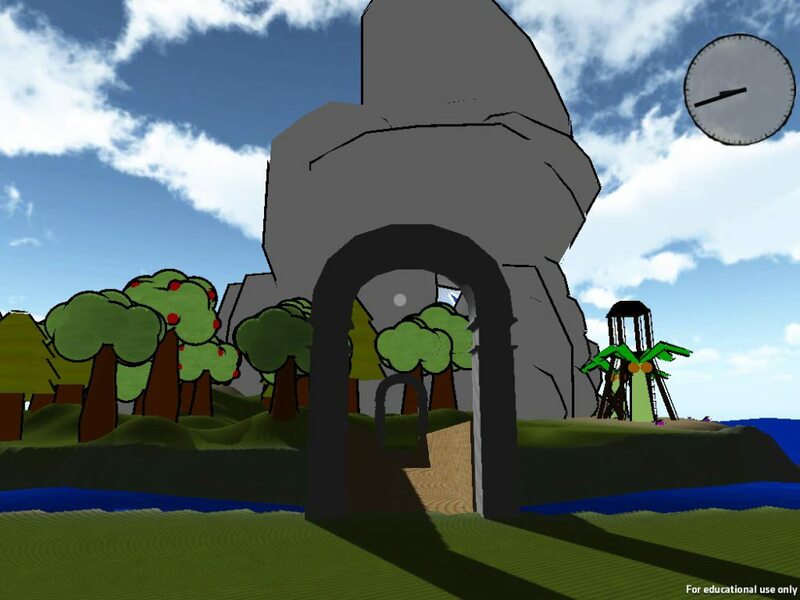 There is also a day and night cycle that changes the world depending on the time of the day, this encourages the player to go to the same places at different times and see what changed. The main character is a robot who is in the process of discovering who and why he is on the island. For this project I created all the 3d assets, the art style, I also contributed to the level design and narrative of the game. This is the first game I designed at USC. It is inspired by how I felt in graduate school my first year. The objective of the game is to create potions using different colors of the outer world. Each potion represents a project that any graduate student is assigned. Through different choices like exploring or going to certain places in the game, the player gains inspiration, ideas and other valuable assets to make the best project possible. Each person can decide how to live this experience and how colorful and varied the potion can be. There are no right or wrong potions. The player can choose to make no potion (or no project) and only explore the world, to stay inside and make colorless potions (look for no inspiration or ideas) or to combine both and create any desired. potion. For this project I programmed the movement of the character, I created the sprites , the art and helped create the game mechanics. This is an artistic game that was designed in order to evoke feelings of peace and tranquility. I designed it with my classmates in Mexico. The objective of the game is to change the direction of the particles with the use of satellites and guide them to the portal so the ship can escape space and return home. If you take too long, you will run out of particles and fail. For this project I designed the main mechanics of the game and created some of the art. Candyland Contract, is a game focused on the principle of trust and learning how to take risks. The objective is to end the game with the most amount of candy possible. While you’re playing, you have the option of trusting the other players, deceiving them to get ahead or directly trying to stop them form winning. The second one, Sky Pirates, is a variation of Up the River where each player has the objective of collecting treasures and returning them to the Main Island. 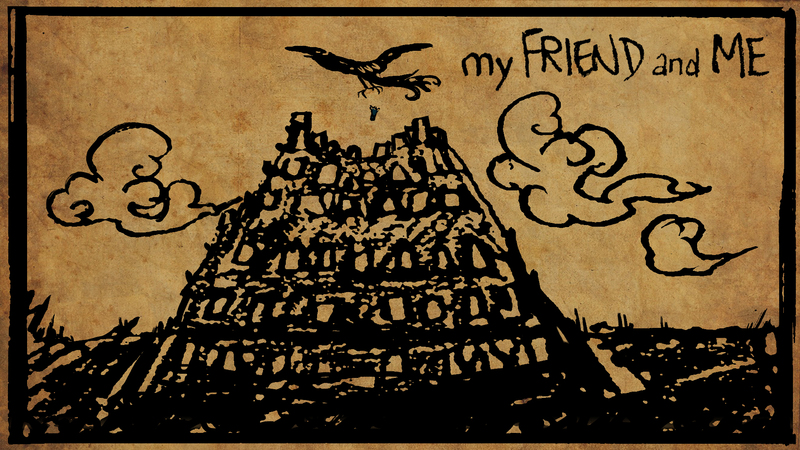 Each player must deal with several changes during the game that can modify the board, the location of treasures or their ability to collect or return them.